The purpose of the Columbia Basin Cooperative Weed Management Area is to work cooperatively and collaboratively to address cross-boundary invasive species issues, focusing on flowering rush (Butomus umbellatus), in the Columbia Basin. The Columbia Basin Cooperative Weed Management Area was created in 2017 to work collaboratively on invasive species issues within the basin. 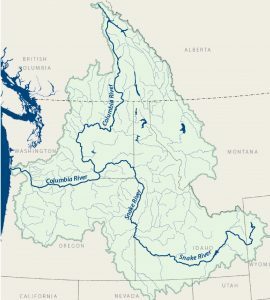 A Columbia River Basin CWMA brings together agencies, work groups, and smaller-scale groups to provide a coordinating body to address basin-wide issues. The Steering Committee of the Columbia Basin CWMA consists of the following partners; Alberta Environment and Sustainable Resource Development, Columbia River Inter-Tribal Fish Commission, Kalispel Tribe, Montana Fish Wildlife & Parks, Montana Invasive Species Council, Oregon Department of Agriculture, Portland State University, Washington Department of Agriculture, Washington Invasive Species Council, Washington State University, Washington Department of Ecology and Western Invasives Network. Funding for the Columbia Basin CWMA and its activities has been provided by a grant from the National Fish and Wildlife Foundation and support from generous partners. The initial focus for the Columbia Basin CWMA is flowering rush. Flowering rush (Butomus umbellatus L.) is an herbaceous aquatic perennial in the family Butomaceae. Native to Europe and Asia, umbellatus was introduced into North America by 1900, possibly both accidentally in ballast and packing material and intentionally via the horticulture trade .It is now widely naturalized in wetlands, lakes, ditches, and slow-moving rivers in 21 states and 8 provinces surrounding the USA/Canada border, and is continuing to expand outward. Butomus umbellatus displaces native plant species, impedes water flow, alters habitat structure and nutrient cycling, damages fishing, hunting, boating, and other recreational sectors, and is difficult to control. 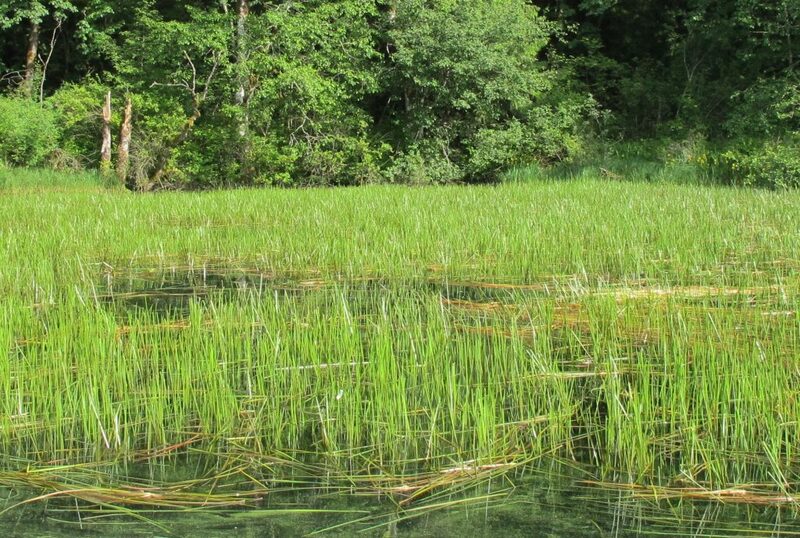 By working collaboratively across the Columbia Basin, the Columbia Basin CWMA hopes to find ways to minimize the impacts and limit the spread of this invasive aquatic plant. A regional management plan will help drive research, management, restoration and other activities in the future. This plan will also be a tool to engage policy and decision makers to build support for flowering rush issues. There will be opportunities to provide feedback on this management plan. At the Flowering Rush Summit facilitated discussions will help inform key content areas of the management plan. Keep up to date on CWMA activities – sign up for our list serv. Contact the coordinator to learn more.